This statement rightly deserves to one student Miss Darshi Nimesh Shah, who was an excellent student at UCMAS. 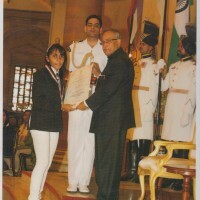 She capitalized the opportunity granted by UCMAS and all her efforts have come effectual and now she is the recipient of the nation’s one of the biggest awards – “The NATIONAL CHILD AWARD FOR EXCEPTIONAL ACHIEVEMENT- 2012” which she received from the honorable President of India – Mr. Pranab Mukherjee in the President’s house for her hard work and her dedication towards the taken up work. All her efforts have become a ‘fruitful’ outcome. Miss Darshi joined UCMAS at the age of 8 years when she was in Grade 3. UCMAS provided the base of her brain development. She was at the best age for a UCMAS developing student. 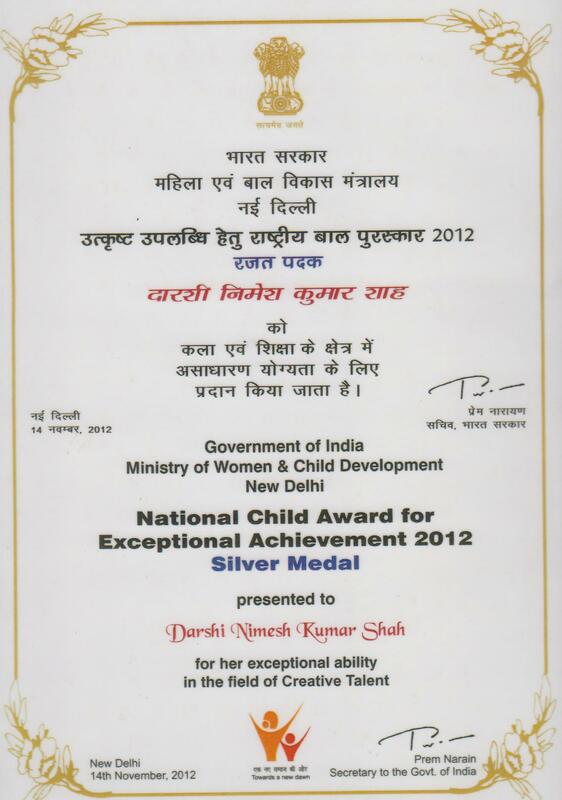 UCMAS, along with her parents caught the bright talent arising in Darshi and UCMAS provided the developmental, mathematical, analytical and many more skills that helped her for her growing developmental brain. As a parent of Darshi, I strongly give credit to UCMAS for the brain developmental skills, and thinking out of the world, thinking innovatively and developing her mind for excellent academic proficiency. UCMAS is a great institution – It’s not just math, but also logical thinking, critical analysis, speed and concentration development, accuracy enhancing, time management, and last but not the least speed math calculations within seconds with brilliant mathematical methods and tricks and that way it’s basically a complete brain development program for children at their development age. 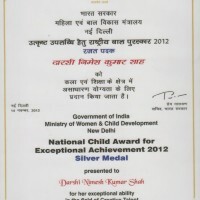 This all have benefitted the “National Child Award recipient”, Darshi for her academic excellence in her school as well in her participation in several external Olympiads and Quizzes. The brilliant student of India, Darshi has excelled remarkably well in her academic life as she has been a 1st ranker from STD 1 till now (at the completion of grade 10th). 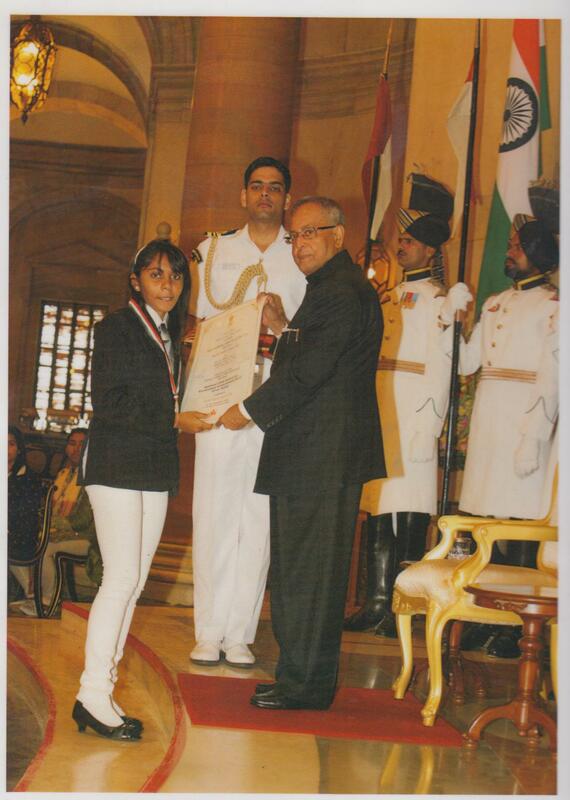 She also has shown the nation’s talent at international level Olympiads and grabbed several awards for her enthusiasm, dedication and most important – her efforts. In UCMAS also she has grabbed many awards. Certificate of Recognition for Advanced Cognitive Abacus & Mental Arithmetic expertise during the survey conducted by the professors of World’s # 1 University Harvard University, Massachusetts Institute of Technology & University of California, San Diego, USA in the years 2009 & 2010. As a parent of Darshi, I feel very proud to say that this is my ward.” I strongly give most of the credits to UCMAS for her overall development and activeness in all the external examinations and Olympiads. In words of this brilliant student of UCMAS, Darshi, “Whatever I’m is only due to the efforts of my parents Mrs. Jigna Shah & Mr. Nimesh Shah and also because of my brain development – which credit should be given to the teachers of UCMAS – Mrs. Sindhu Premnath – Director of Excellent World Academy, Gujarat, India. Copyright © 2007 - 2019 Omnisoft Technologies Pvt Ltd.